So my niece is turning 10 this year and she doesn’t want the princess party kind of thing anymore. No, she is a pre teen now and she needs something that’s girlie but not childish (so she says). 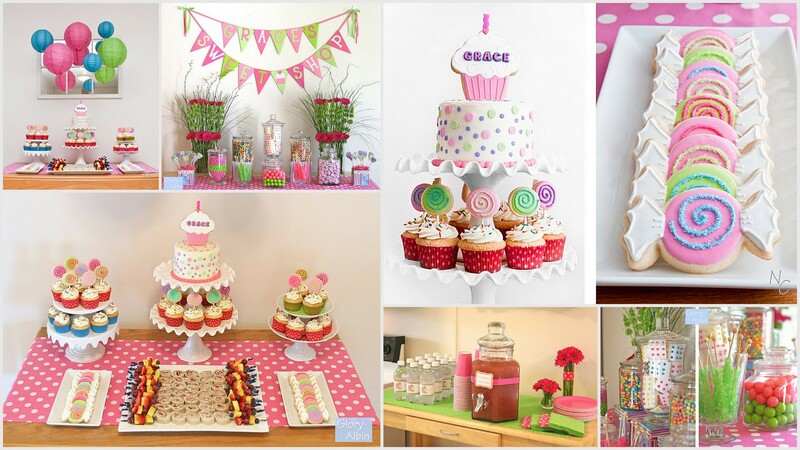 I’ve been given the task to come out with a theme for her party and I’m loving it! 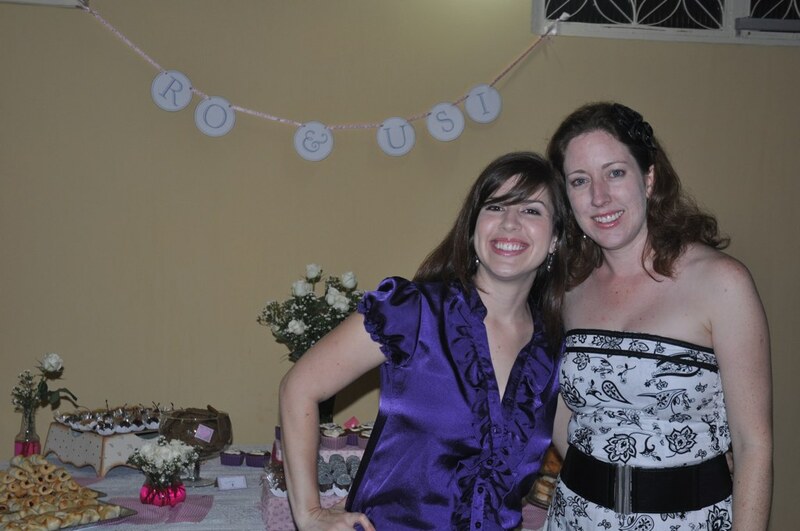 You see she is my first and ,until a few months ago, only niece ( baby Raquel is on the way, yay!!) so I’m really excited <3. 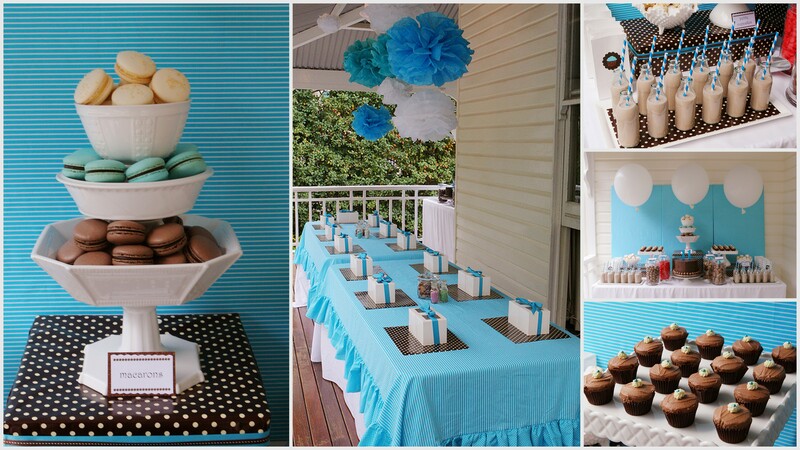 They live in Brazil and her mom is going to use supplies from both countries to make this party a hit. 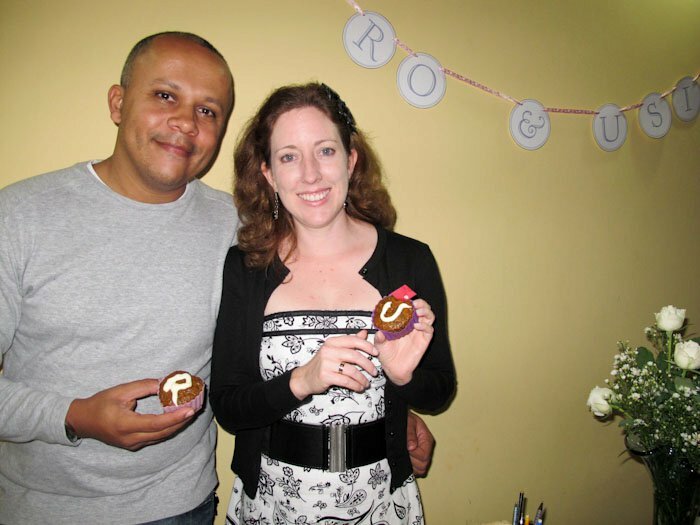 “The Bridal Shower was a mix of Brazilian and American cultures. 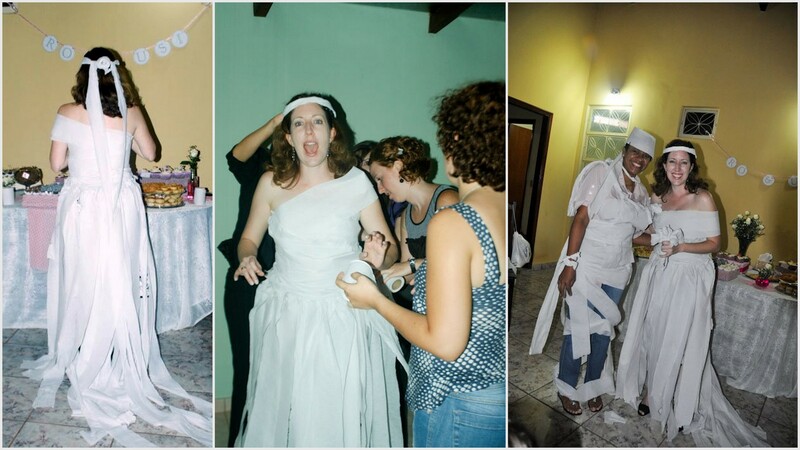 We called it a Despedida de Solteira (Bachelorette Party) but it was more a Bridal Shower than anything else. 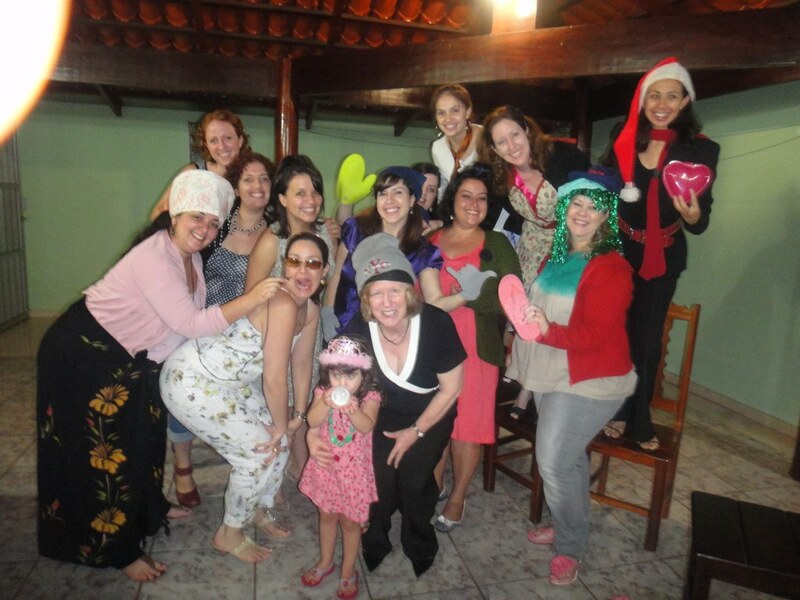 The cousins in our family are very close and since most of them live in different sides of the world (Africa, Israel, USA) and different parts of Brazil we did the bridal shower 2 days before the wedding so that the cousins that were far away could attend. Rosane is the oldest cousin and she is the glue that holds us together and everyone was so happy when she finally started dating Usiel and they got engaged. So everyone made an extra effort to be there for the wedding and to arrive a few days before to spend some time together. 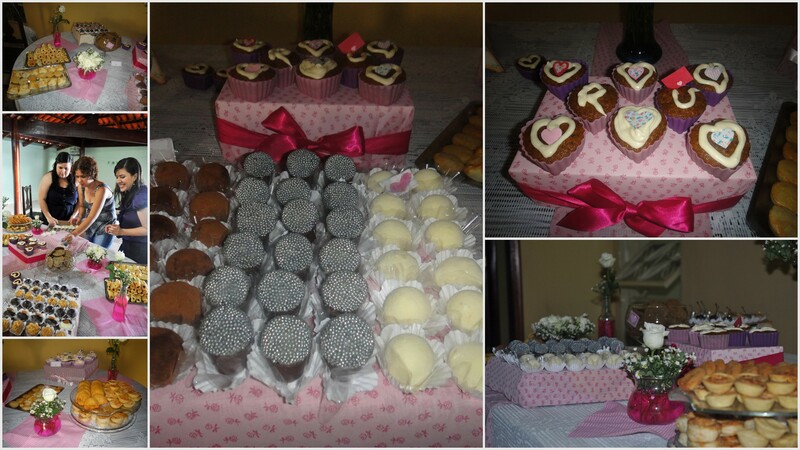 The bridal shower was really small and just to relatives and really close friends to give it a more intimate feel. Rosane’s sister (Anne Ruth) planned and created the whole thing and she is sooo talented. 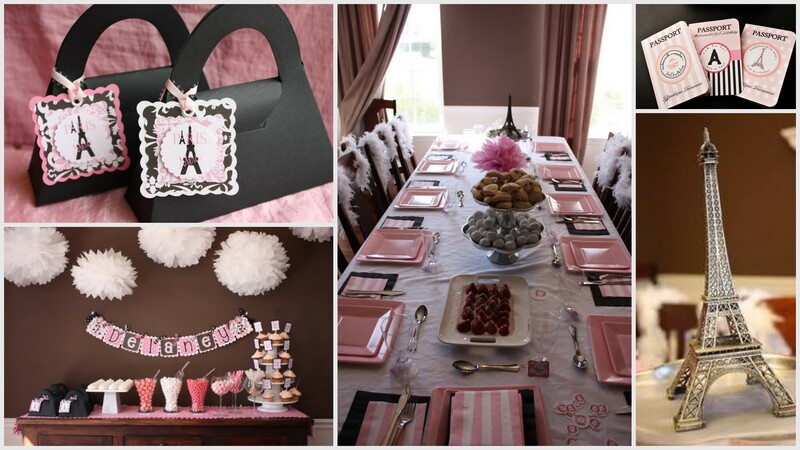 The invitations were in paper stock but on pink plaid fabric and she said the theme was “fabric”. She basically used 2 types of pink fabric, plus pink ribbons and we used table clothes that had some kind of lace on it to give a more romantic feeling. 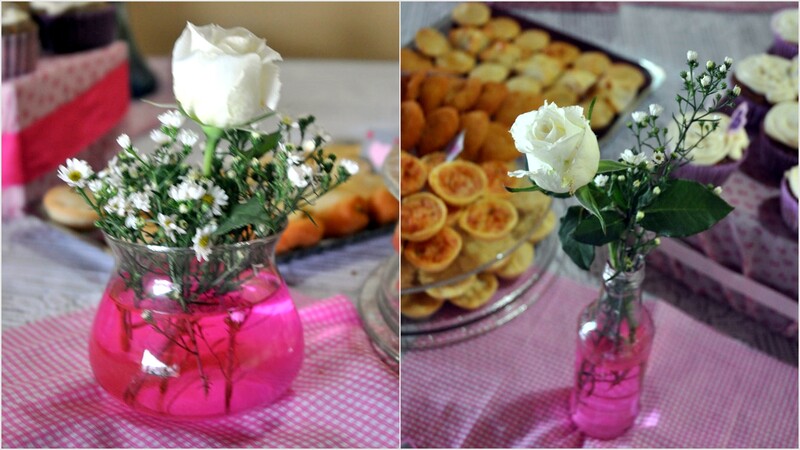 She bought a few white roses and she added pink colorant into the water so match the pink that was being used. She made from scratch carrot cupcakes and her mother gave us her famous chocolate cookies recipe and we made it also. 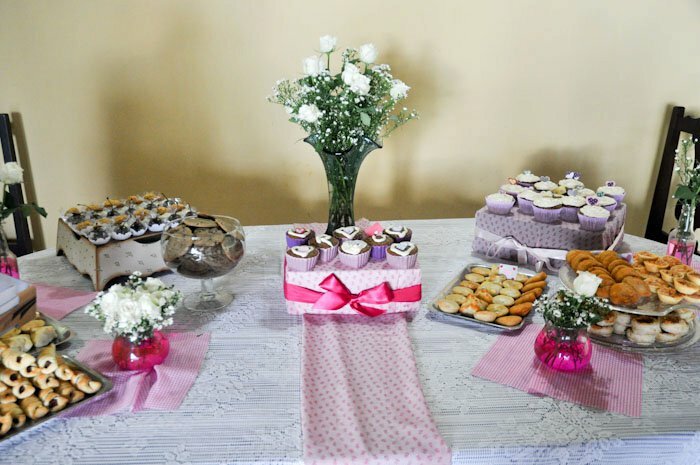 She wrapped boxes in pink fabrics to use as a stand for the cookies, cupcakes and pastries. 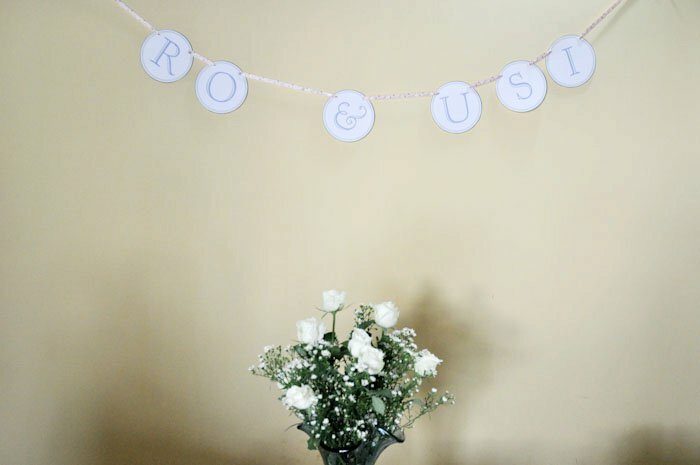 She also used a pink ribbon I bought in the US to create the sign Ro & Usi and she made the signs herself at home. She also made small hearts and envelopes using fabric and different colors stock paper cupcake toppers and they were sooo adorable. 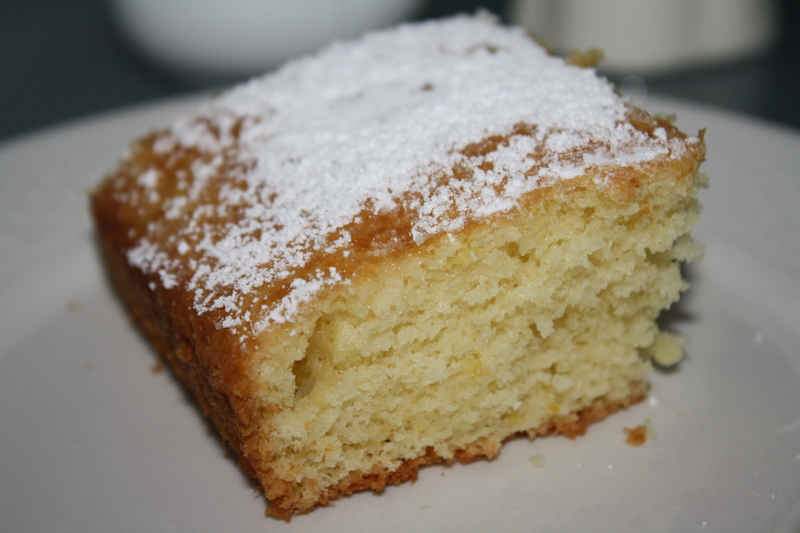 She was really intelligent and knew that on the wedding day we would have too much going on to enjoy all the sweets and pastries that was going to be served on the wedding so she ordered the same sweets and pastries for the shower so we could enjoy it, especially Rosane. 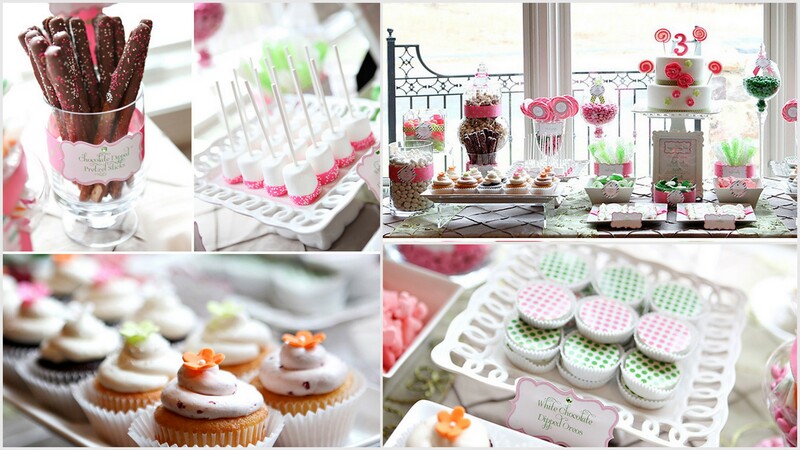 We definitely got sugar high on the party. They also brought from the US pink lemonade powder because in Brazil there is no thing such as PINK lemonade. 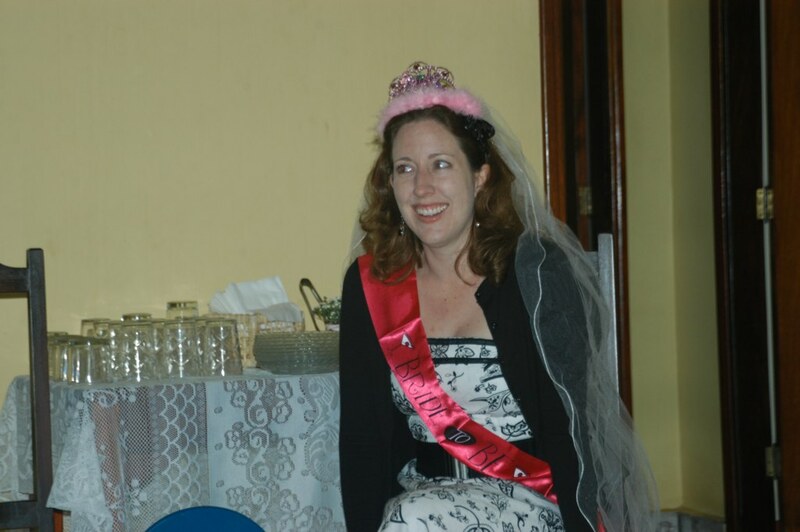 I brought from the US the flashing bridal tiara, the veil and the sash since she wouldn’t be wearing one on her wedding day so it was a new thing for the Brazilian relatives. The night was amazing and everyone had a great time and the love that everyone has for Rosane, especially Anne’s love, throughout the evening. Photos by Rosane Walker, Anne Ruth Walker and Stephania Walker. By the pictures ( and knowing the “walker girls”) I can tell that this party was so much fun. Stay tuned for the wedding pictures. Did I say GORGEOUS already??!!! Don’t forget to check us on facebook.